Microsoft leaks its brand new chat app for iPhone. Flow sounds a lot like any other instant messaging service, but the way in which it will tie into Outlook will make it somewhat unique. Flow conversations will appear in your inbox alongside the rest of your email, allowing you to use either application to continue your conversations. 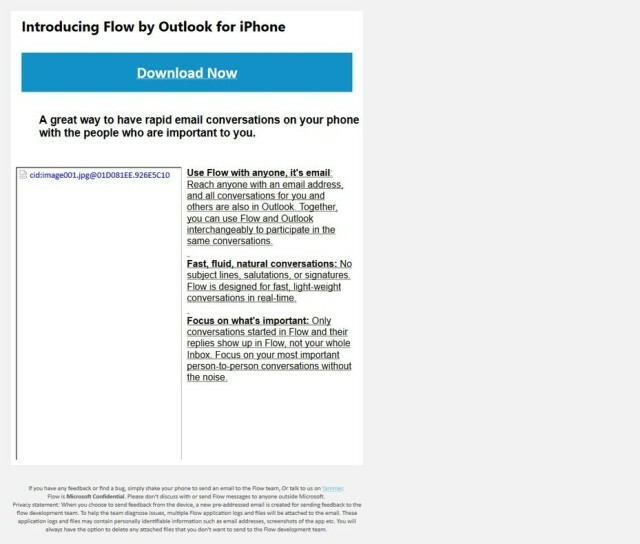 While inside the Flow app, however, you’ll only see Flow conversations, so you won’t be bogged down by the rest of the clutter that’s sent to your email address. Flow gives Outlook users a more casual way to communicate with the people who are closest to them, such as friends and relatives, where the formalities usually associated with email — particularly those that are work-related — aren’t necessary. In turn, it makes the Outlook service more personal. 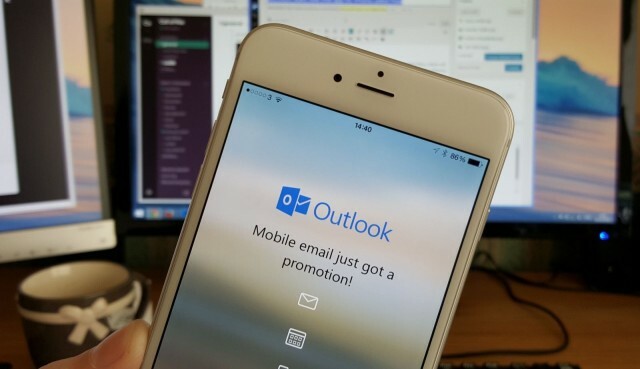 While Flow may be a lot like existing instant messaging apps like WhatsApp, Viber, and Facebook Messenger, then, it may be a more convenient solution for those who are already tied to Outlook. Microsoft hasn’t made Flow official yet, but it did publish a description of the app on a public download page marked “Microsoft Confidential.” Twitter user @h0x0d managed to grab a screenshot before it was taken down. It’s still unclear when Flow will be available, then, or whether it will eventually support other platforms. It’s interesting that Microsoft seems to be making the service available on iPhone first, rather than integrating it into its upcoming Windows 10 upgrade. But we can’t complain. This entry was posted in Apps and tagged Facebook Messenger, Flow, instant messenger, iphone, iRumo, leak, messaging, Microsoft, Outlook, Viber. Bookmark the permalink. Charge your iPhone 6 in style with Apple’s new Lightning Dock. Some waiting for iMacs have been given a free upgrade to Retina, but is that a good deal?